Is your MySQL server getting too slow for analytical queries now? Or are you looking to join data from another database while running queries? Whichever your use case, it is a great decision to move the data from MySQL to Redshift for analytics. This post covers the detailed steps you need to follow to migrate data from MySQL to Redshift. MySQL is one of the world’s most known open-source relational database management system. With great security, reliability, and ease of use, MySQL has emerged as the leading choice for OLTP systems. Amazon Redshift (based on PostgreSQL 8.0.2) is a columnar database that supports scalable architecture and multi-node processing. Due to its ability to handle and process a huge influx of data and easy setup options, it is emerging as the engineer’s favourite choice for an OLAP system. There are two popular methods to move data from MySQL to Amazon Redshift. 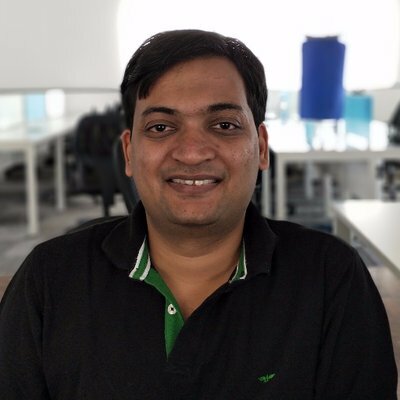 Method 2: Write Custom ETL Scripts to move data from MySQL to Amazon Redshift. We will deep dive on Method 2 in this post and detail out its limitations and hardships. Additionally, towards the end of this article, we will compare method 1 (Using Hevo Data Integration Platform) and Method 2 (Custom ETL Scripts). In Method 1, although the task seems easy enough, it involves a quite a few steps and some them are error-prone. The most efficient way of loading data in Redshift is through the COPY command that loads CSV/JSON files into Redshift. So, the first step is to bring the data in your MySQL database into CSV/JSON files. a. We can use mysqldump command. b. Query the data into a file. There might be several transformations required before you load this data into Redshift. e.g. ‘0000-00-00’ is a valid DATE value in MySQL but in Redshift, it is not. Redshift accepts ‘0001-01-01’ though. Apart from this, you may want to clean up some data according to your business logic, you may want to make time zone adjustments, concatenate two fields, or split a field into two. All these operations will have to be done over files and will be error-prone. Again, the above operation has to be done for every table. Once the COPY has been run you can check the stl_load_errors table for any copy failures. Network failures or timeouts during dumping MySQL data into files. Network failures during S3 Upload. Timeout or data compatibility issues during Redshift COPY. COPY might fail due to various reasons, a lot of them will have to be manually looked into and retried. If your MySQL tables are big (read > 50 GB), you may not want to upload complete tables every time you run the jobs. You will want to upload only the data that has been newly added or changed. d. Insert all of the rows from the temporary table. e. Drop the temporary table. In cases where data needs to be moved once or in batches only, the custom script method works. This approach fails if you have to move data from MySQL to Redshift in real-time. Incremental load (change data capture) becomes tedious as there will be additional steps that you need to follow to achieve this. Often, when you write code to extract a subset of data often those scripts break as the source schema keeps changing or evolving. This can result in data loss. The process mentioned above is brittle, error-prone and often frustrating. These challenges impact the consistency and accuracy of the data available in your Redshift in near real-time. There is an easier way to address these problems. Connect to your MySQL database. Select the replication mode: (a) load selected MySQL tables (b) load data via Custom Query (c) load data through Binlog. For each table in MySQL choose a table name in Redshift where it should be copied. That’s it! You are all set. Hevo will take care of fetching your data in an incremental fashion and will upload that seamlessly from MySQL to Redshift in real-time. In addition to the benefits mentioned above, you can use Hevo Data Integration Platform to move data from 100s of different sources – databases, cloud applications, SDKs, and more. This will future proof your data integration set up and provide the flexibility to immediately replicate data from any source into Redshift. 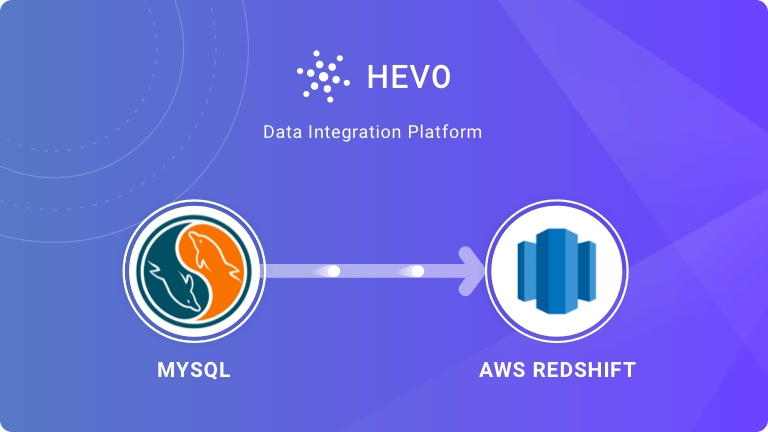 Sign-up for a 7 Day Free Trial to see how easy it is move Data from MySQL (and 100s of other sources) to Redshift using Hevo Data Integration Platform.